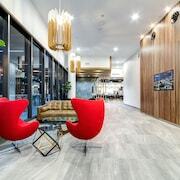 Excellent place for a city visit, nice walk to CBD and Southbank, plenty of local restaurants, coffee places, etc., clean and comfortable accommodation, and friendly staff at reception. 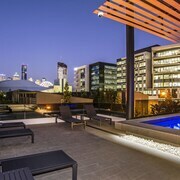 Short stroll to the heart of the CBD, 24 hour restaurants,coffee shops, the footbridge to Southbank, Botanic Gardens & Parliament House precinct. 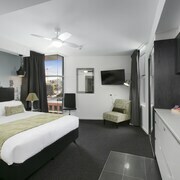 Rooms are modern, spacious and comfortable and are in handy location to walk to Southbank, museums, theatre etc and a nice walk to the city centre. 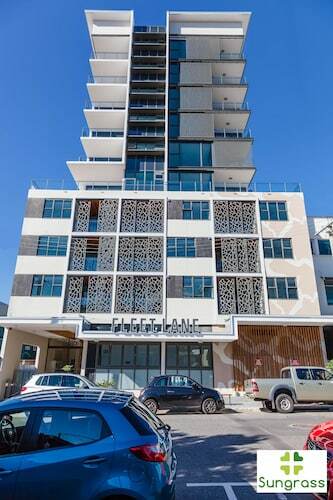 Property is located to the main train station Central Station, Queen Street Shopping Mall and a 15 minute easy walk to South Bank across the Brisbane River. 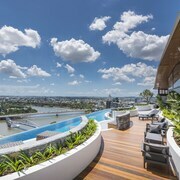 My three children and I loved our beautifully presented and spacious room and its gorgeous view over South Bank, the Wheel and Brisbane River and CBD. 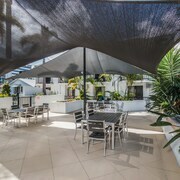 Location is everything and we were definitely in a great location when we stayed at Soda Apartments, within walking distance to Southbank & the restaurant precinct. Which hotels are closest to the South Bank airport? 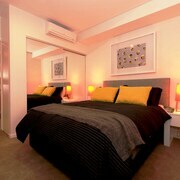 Can you find accommodation in popular areas of South Bank? 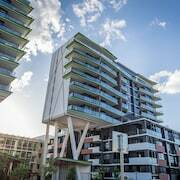 Where to stay near top South Bank attractions? 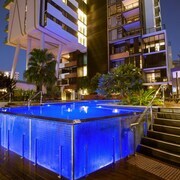 What kind of hotels are in South Bank? 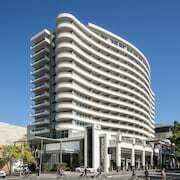 Which hotel chains are in South Bank? Families will find kid-friendly activities in South Bank, and visitors give high marks for the fascinating museums, top-notch restaurants, and riverfront. Walkable and welcoming, this city will delight tourists with its theaters, cafés, and entertainment choices. 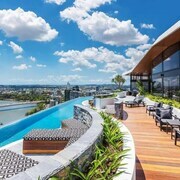 Brisbane Convention and Exhibition Centre, Queen Street Mall, and Roma Street Parkland are some of the top sights around the area. 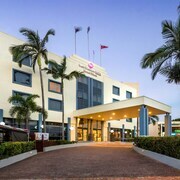 The city is well known for its museums and theaters, and cultural venues include Queensland Performing Arts Centre, Queensland Conservatorium, and Queensland Museum and Sciencentre. Favorite family attractions include Wheel of Brisbane and South Bank Parklands. 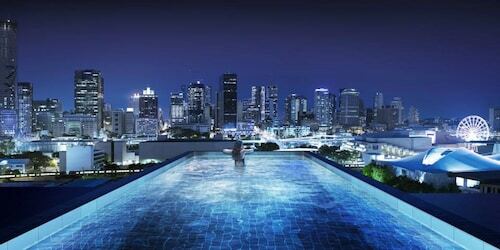 A couple of additional sights to add to your agenda are Brisbane Convention and Exhibition Centre and Southbank Institute of Technology. 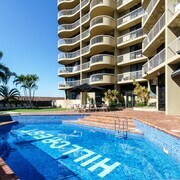 Spice Apartments - With a stay at this 4-star apartment, guests can enjoy access to an outdoor pool and free parking, along with an in-room kitchen. 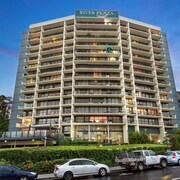 It's a favorite with Expedia travelers for its overall value and clean, comfortable rooms. 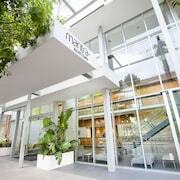 Mantra South Bank - Our customers like the central location and comfortable rooms at this hotel. This 4.5-star hotel features a restaurant, an outdoor pool, and a fitness center. 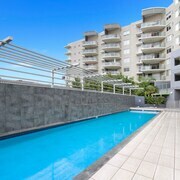 Vine Serviced Apartments - This 4.5-star apartment features a restaurant, free WiFi, and free parking. 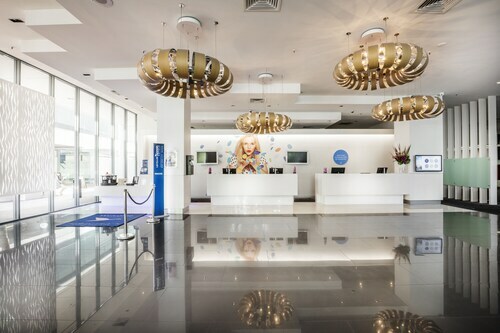 Expedia customers like its family-friendly amenities and clean, comfortable rooms. 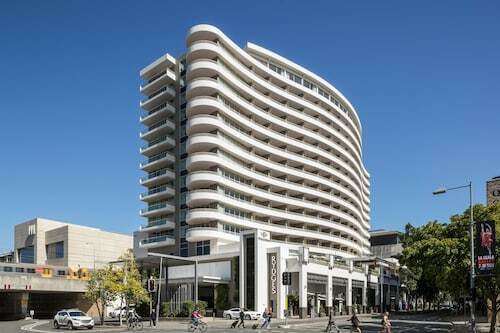 Outside the city, popular places to visit include Queen Street Mall, located 0.6 mi (0.9 from the city center, and Roma Street Parkland, which is 0.9 mi (1.4 away. 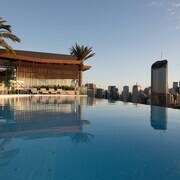 To explore the surrounding area, ride one of the trains from South Brisbane Station or South Bank Station. South Bank may not have many public transportation choices so consider renting a car to explore the city. What are the most popular hotels in South Bank? 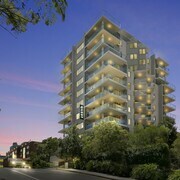 Are there hotels in cities near South Bank? 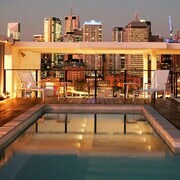 Explore South Bank with Expedia.com.au’s Travel Guides to find the best flights, cars, holiday packages and more!